‘Photofacials’ are innovative, non invasive procedures that will comfortably and safely revive your skin.’ All of us will agree that an even tone corresponds to ‘beautiful skin!’ Sun damage, pollution, or age make the skin dull and highlight imperfections. Photofacial may help you cope with such problems. Before addressing the question as to what is a photofacial?, you should know that it has two basic types which are very popular these days. The first one is an LED photofacial while the other one is an IPL photofacial. In the most simple terms we can define a photofacial as a facial skin rejuvenation therapy that makes use of therapeutic light of specific wavelengths that are known to be beneficial for skin. Let’s know in depth about both of them. Photofacials use light-based technology to treat common skin problems. The basic idea behind photofacial is that certain wavelengths of light can be used to combat aging and other skin problems. LEDs are used to emit specific wavelengths that are used for skin healing and restoration. LED Light treatment can be used to stimulate collagen production (reducing fine lines and wrinkles) and kill acne-causing bacteria on the skin, improving skin clarity—with no pain and no downtime. It works by triggering the body to convert light energy into cell energy—without heat. LEDs (light emitting diodes) including red and infrared lights have been proven to have enormous benefits for your skin. Scientific studies have shown that some skin cells may actually develop 150-200% faster when exposed to red an infrared LED wavelengths. This increase in cellular growth may help increase the healing process tremendously. In fact, tests have revealed that both red and infrared LED wavelengths affect at least 24 varied and constructive changes at a cellular level. Low-level laser therapy (LLLT) is a form of alternative medicine that applies low-level (low-power) lasers or light-emitting diodes (LEDs) to the surface or orifices of the body to stimulate and enhance cell function. 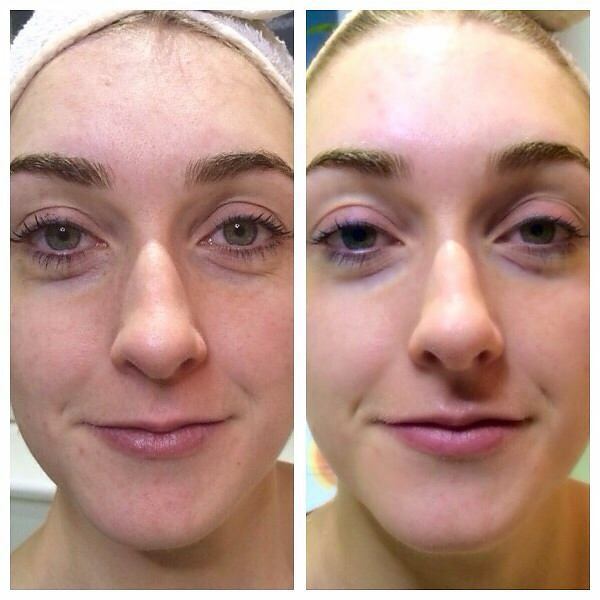 More recently, LLLT is being used for skin rejuvenation. It has been reported to improve wrinkles and skin texture, reduce skin laxity and diminish scars. Preliminary data indicate that it might also improve a number of skin conditions, including acne, certain pigmentation disorders, burns and possibly psoriasis. Some researchers argue that in essence LLLT works similarly to the cosmetic skin rejuvenation methods employing controlled damage followed by tissue healing and remodeling. The effects of the light used in LLLT overlap with biochemical changes seen during tissue damage, such as production of free radicals. Light can also directly affect some biochemical reactions leading, among other things, to the increased production of certain free radicals, which in turn trigger other reactions. The net result of these effects is a potentially significant change in a variety of key cellular processes. In particular, LLLT was shown to boost the energy production by mitochondria, increase collagen synthesis, stimulate micro-circulation and so forth. Certain light sensitive molecules are activated when LLLT is used on the body, like enzyme cytochrome C oxidase (a mitochondrial protein) is a key player in cellular energy production. Why go in for an LED Photofacial? Let’s find out what different colours (wavelengths) of light have in store for you? It’s been demonstrated that the acne bacteria absorb light from blue LEDs, which will activate a group of organic compound to release oxygen, killing the bacteria. By using blue light therapy regularly, you will be able to eliminate the bacteria and reduce the inflammation, and thus see your skin get clearer and look much better. Blue light at wavelength of 415nm is absorbed by a molecule called porphyrin. P.acne bacteria contain an abundant amounts of porphyrin.Blue light is also anti-inflammatory. It also helps to control oil production in your skin, neutralizes and balances the skin while improving the overall complexion. Acne blue light treatments do not pose any dangers for your skin. The reason behind this is that the treatment makes use of visible light, which contains no ultra violet rays that can damage your skin. The side effects remain limited to minor irritation, skin dryness and temporary darkening of skin and these can well be mitigated with proper care. Green LED light helps with skin discoloration . Fading of dark spots and even tone in general. Amber light therapy has a wavelength of between 570nm to 620nm. It can sometimes broken down into Yellow or Orange. Apt for the treatment of skin issues involving redness such as rosacea. It is ideal for sensitive skin because of its calming and soothing properties. 1. Does LED treatment give lasting results? 2. Can LED devices be used during pregnancy? 3. Can LED treatment damage eyes? Thus, the damage caused to eyes by exposure to LED light may depend on the time span, and frequency of your treatment! It is advisable to use proper eye protection while undergoing LED treatments. Photofacial is a term for a skin treatment that uses some kind of light-based technology, primarily for boosting collagen, treating brown spots, and diminishing broken capillaries. An IPL photofacial typically is a 30-minute procedure in which intense pulses of light are used to penetrate deep into the skin. An IPL photofacial is done with an IPL system (or combination IPL/laser system) in the office of a plastic surgeon or trained aesthetician. The procedure is also known as photo-rejuvenation. The IPL system uses a broad-spectrum light directed at the skin of the face in order to stimulate the regeneration of the skin and the growth of collagen. The treatment consists of the stimulation through heat of the dermis, or the lower layers of the skin, while leaving the outer layers cool and unaffected. The difference between LED and IPL photofacial? Both of them use specific wavelengths of light but there is difference in how they act upon your skin. While LED treatments work on the surface of your skin, IPL works beneath the surface. It is ideal for those who suffer from sun damage or broken capillaries. This option is also useful for those who have multiple problems, such as damage and spider veins, and want to treat them simultaneously. The IPL is tuned or set to flash only the color that is needed to remove a specific target, such as hair, a blood vessel or brown spot. For example, if you want to remove a blood vessel from the skin, IPL flashes a color which matches the color of blood in the vessel. The IPL energy is absorbed by the blood in the vessel, the blood is heated and the vessel is damaged and removed, but all other tissues around the blood vessel are not affected. This method is called target specific photothermolysis. What it involves is using light energy to heat a target such as a brown spot to dissolve the unwanted pigment. Photo means light, thermo means heat and lysis means to dissolve. The most important feature of IPL is that this form of energy can be tuned to only target a specific color and leave the normal skin around the pigment, or other target, undamaged. It can cause hyper-pigmentation in people with Asian skin or darker skin. So they should be extra careful. You can still get get burned with IPL if the operator is not knowledgeable and careful during the treatment. Find highly skilled professional for the treatment. IPL is not effective like LASER for hair removal. While both the LED and IPL treatments use light, hence the term photofacials, they vary in how they work. With LED facials, you will see an increase in collagen and possibly less acne. That is because it works to kill the bacteria that leads to acne while stimulating collagen production. You will see plumper, younger-looking skin. While IPL addresses a myriad of other problems too, like rosacea, diminishing freckles, dark spots, age spots spider veins and broken capillaries. Depending upon your problem, you can choose any one of them. But, the point to remember is that an IPl photofacial can only be done by an expert and its effects are seen after 24 to 48 hours. You need to run to professionals to complete the treatment to see full results. People mostly need at least six sittings for final outcome. While and LED photofacial uses low level light therapy which dies not require any special skills to be administered. There are ample of at home use LED devices (hand held LED photofacial machines and LED face masks) that effectively provide the best of results. It can easily be done at home, taking care of the guidelines mentioned with the device. This is why this one turns out to be more economical since it only needs a one time investment that isn’t even too much and you can get benefits from it in the long run without incurring nay extra costs. So, if you had that question in mind that.. “Can I get a photofacial at home?”, the answer is YES OF COURSE !